When a stream of Scots-Irish immigrants began filtering into Southern Appalachia from their native lands during the 18th and 19th centuries, they brought with them a musical heritage that fused with our own melting pot of traditions and shaped the sound of balladry as we know it. 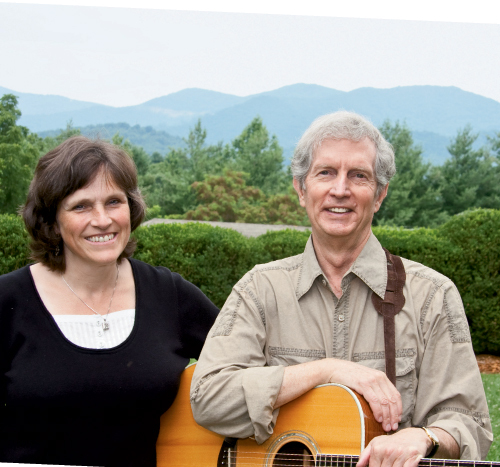 Scotland’s Fiona Ritchie, host of National Public Radio’s The Thistle & Shamrock, and Warren Wilson College president emeritus and performer Doug Orr explore the musical DNA our wandering friends imprinted on the mountains in Wayfaring Strangers: The Musical Voyage from Scotland and Ulster to Appalachia, (University of North Carolina Press, September 2014). Essentially a centuries-long story of a musical migration that began in Scotland and the Irish province of Ulster before ending in our region, Wayfaring Strangers dissects the song traditions, storytelling, and instrumentation that traveled with the Scots-Irish on their journey. Luminaries such as Pete Seeger, Dolly Parton, and Doc Watson all have a hand in telling the tale, and an accompanying 20-song CD is a perfect soundtrack to the illuminating prose and photography that comprise this handsome volume. Wayfaring Strangers is both a story of a musical evolution and a time capsule that preserves a nearly forgotten era of mountain life.